To fine or not to fine? The question divides the library community. 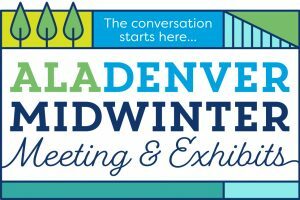 In Fine Free Future, a Center for the Future of Libraries program at the 2018 Midwinter Meeting & Exhibits in Denver, three librarians waded into the argument to advocate for the elimination of fines for overdue materials and to advise librarians on how to make a case to administrators and community members who may be opposed to the idea. Gretchen Caserotti, director of Meridian (Ida.) Library District, began by asking the standing-room-only crowd why libraries charge fines. 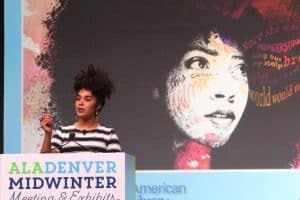 Answers ranged from“It’s a revenue stream for the city” to “It’s a tool to teach responsibility to younger patrons.” She said there is little research to support these, according to “Removing Barriers to Access,” a Colorado State Library white paper. Rather, there are larger philosophical arguments against fines. “Are they the right thing to do?” asked Peter Bromberg, director of Salt Lake City Public Library. Fines adversely affect lower-income populations, Bromberg said, and can make people avoid the library altogether. He relayed an anecdote about a conversation he had with a Lyft driver about fines. The driver stopped going to the library because of his backlogged fines. “It’s like having to pay another credit-card bill at the end of the month that I can’t afford,” the driver told Bromberg. The words had an impact on the librarian. The panel broke down various arguments and conversation points to help librarians justify eliminating fines. They said that it was not the library’s job to teach responsibility to patrons. 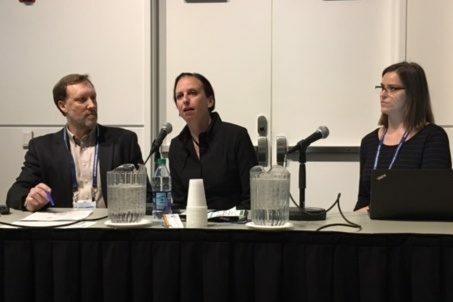 Sarah Houghton, director of San Rafael (Calif.) Public Library, said fines get in the way of a library’s mission to serve the entire community, regardless of socio-economic standing. Barriers exist for some populations to pay fines, and by enforcing them, libraries are subverting their core values. The trio insisted that knowing baseline census, demographic, and economic data is crucial to swaying administrators and community to eliminate fines. Politics must be considered as well. Bromberg noted that compelling arguments can be made to convince detractors of all political leanings by simply using the right data for the right audience. Logistics must be considered as well, they said. Libraries must know what their ILS systems can and cannot do in regards to fine elimination. Fine overrides may have to be conducted manually. Staff retraining may be necessary, especially for staffers who may be opposed to the elimination of fines. And policies explaining just what fines will be eliminated or reduced must be put in place. The panelists explained their own libraries’ experiences with fine elimination, and the results were overwhelmingly positive. Bromberg said checkouts rose 10% at Salt Lake City Public Library, and the number of new cardholders rose 3.5%. Getting rid of fines brought new people into the library and allowed previous users to return, he said. Houghton relayed a story about a mother who came into the library to return an armful of long-overdue children’s books shortly after San Rafael Public Library instituted its no-fine policy for kids’ books. When told that she wouldn’t be fined, the mother broke down in tears. “I can now afford to buy dinner tonight,” she said to Houghton. The woman’s response alone is enough to justify the end of fines, the panel agreed. PHIL MOREHART is an associate editor of American Libraries.